You can see I have a strong preference for a tall, horizontal fence. It just looks so much cleaner and "wall-like" to me. What do you think? I totally agree. I am coveting a horizonal slatted railing/fence thingy for my back deck. 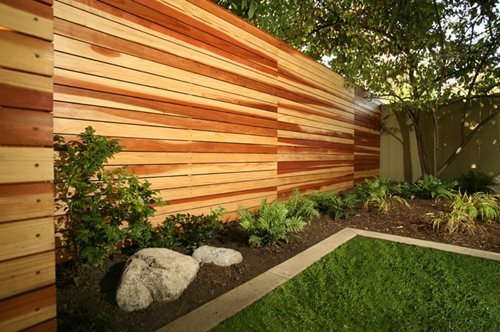 Love this Horizontal Fence what kind of wood is that?